During a recent customer visit I was asked to troubleshoot an issue with Office 365 language specific updates. This blog post outlines my findings and the solution. The customer is running a Current Branch 1706 environment and needs to support Dutch and French languages for Office 365, next to the default English language. As such he wants to ensure all updates for these three languages are properly downloaded. To achieve this the engineer is following the procedure as documented here. Let’s first have a look at what is documented the TechNet Docs. 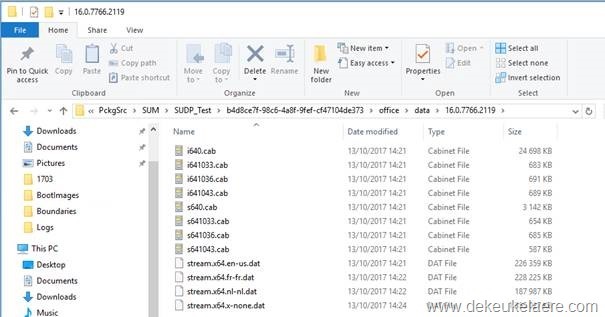 Beginning in Configuration Manager Current Branch 1610, you can add support for Configuration Manager to download updates for any languages that are supported by Office 365, regardless of whether they are supported in Configuration Manager. The documentation contains a detailed procedure on how to add support to download updates for additional languages. This is done through WMI. Configuring additional Office 365 update languages is a site-wide setting. After you add the languages using the procedure, all Office 365 updates are downloaded in those languages, as well as the languages that you select on the Language Selection page in the Download Software Updates or Deploy Software Updates wizards. As the customer did not want to select the additional languages in the Software Updates wizard each month he opted for the site-wide setting and required modifications. 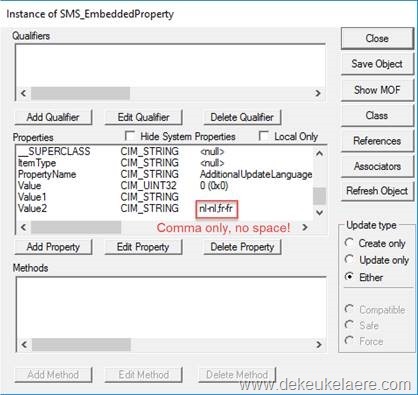 As per the outlined procedure the required changes were made in WMI. Notice in the screenshot below the values are specified exactly as per the screenshot in the TechNet Documentation. Based on these settings the updates for Dutch and French should be downloaded. English does not have to be specified and is always downloaded. However, when checking the sources in the Software Update Deployment Package, only English and French updates have been provisioned. Dutch is missing. 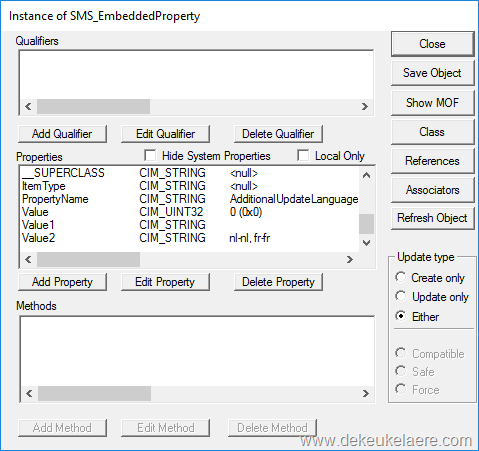 During a second test the language tags in WMI were switched, so Dutch was first in the list. After the download completed the Software Update Deployment Package source folder only contains English and Dutch updates. French is missing. It appears as if only updates for the first language specified are being downloaded. After the download completed we checked the Software Update Deployment Package source folder again – and finally updates for all three languages are properly provisioned. The screenshot in the TechNet documentation is misleading as the language tags are separated with a comma and a space. Based on our above findings the language tags should be separated with a comma only, the space should be omitted for this to work when specifying multiple languages. 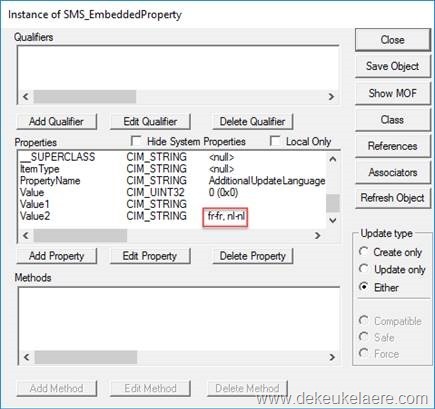 Side note: the TechNet documentation also mentions Use the following procedure on the software update point at the central administration site or stand-alone primary site. This is not correct as the procedure needs to be executed on the site server, not the SUP. Hope it saves you some troubleshooting time! A few days ago we have been working on extending our hybrid demo environment. 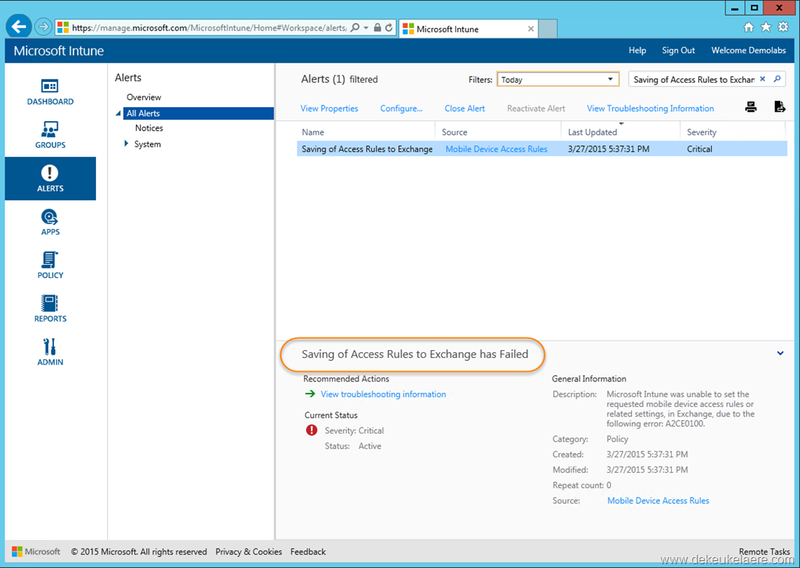 We made some changes required to demonstrate conditional access with Exchange online. Details on how we set things up will follow shortly in another post. Once the basics were in place we implemented a policy that would block a user to access their mailbox when using an unmanaged device. 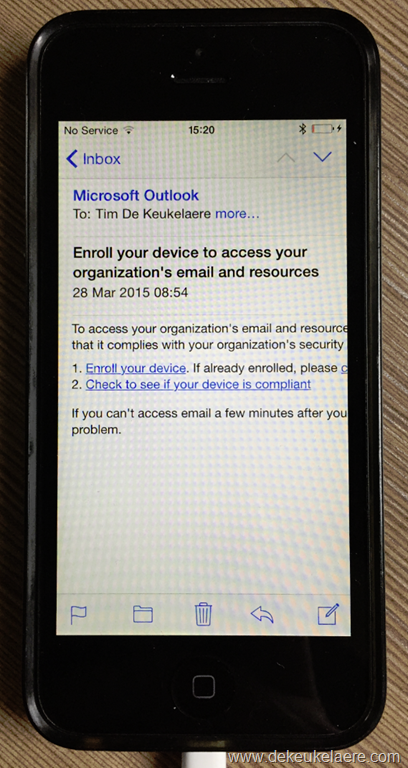 The policy was properly deployed to a collection which included my demo user, however I noticed my demo user could still sync his mail on an iPhone 5 which was not enrolled. Even after an hour or two this condition remained unchanged so something was wrong. Unfortunately the “View Troubleshooting Information” link is broken. So is the one on the top right in the console and the right-click one. As such it was hard to find any further details on this specific error. I can confirm none of the above resolves the issue. The policy still did not get applied. In the end to get things working again what I had to do was to delete the compliance policy, recreate it from scratch, and deploy it again. When synching mail on the iPhone 5 a few minutes later, the policy kicked in. Although the problem was solved and we now have a working demo scenario; in the end I have no idea what went wrong initially and how I could have been troubleshooting this in a more optimized way. Whatever it was it does not seem to resolve itself. Also the repeat count of the alert not increasing indicates the system itself does not do any retries. Fixing the link to the troubleshooting information so the admin can troubleshoot properly and in a most optimized way. Exposing Intune alerts to the Configuration Manager Console so the admin does not have to look in multiple locations. Having the system retry the action “Saving of Access Rules” at least a few times. In case the alert repeat counter increases the admin can further look into a blocking issue. Otherwise there may have just been a glitch and the issue would have resolved itself. If you are ever facing the same issue, I hope this article will save you some troubleshooting time!